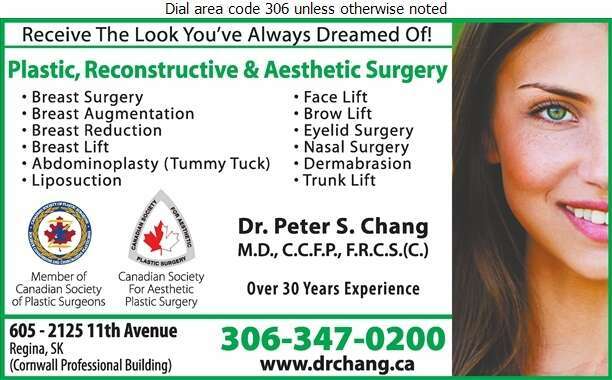 Dr. Peter S. Chang, M.D., C.C.F.P., F.R.C.S.©., specializes in plastic, reconstructive and aesthetic surgery. 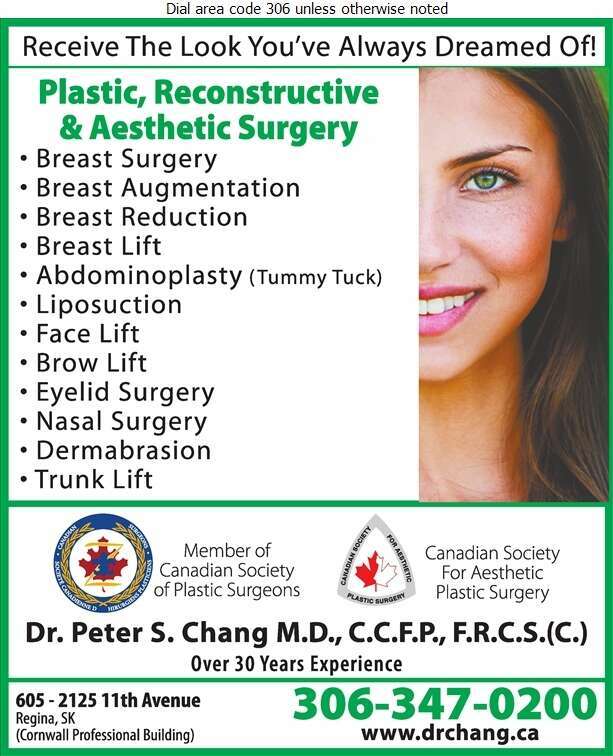 Dr. Chang is a member of the Canadian Society of Plastic Surgeons, as well as member of the Canadian Society For Aesthetic Plastic Surgery. His office is located at 605 - 2125 - 11th Avenue (located in the Cornwall Professional Building) across from the Cornwall Centre in downtown Regina. Receive the look you've always dreamed of! With over 30 years of experience, Dr. Chang provides the best quality in breast augmentation/reduction and lifts. As well as tummy tucks, liposuction, face/brow/trunk lifts, eyelid and nasal surgery, and dermabrasion. For additional information, please contact 306-359-7753.